As an artist, and art teacher, who has been using my computer to create artwork for over two decades, one tool that I have always wanted is a Wacom Cintiq. If you don’t know what a Cintiq is, it is basically a drawing tablet that doubles as your computer monitor. Therefore, you draw on your monitor making it more like a true drawing experience than drawing on a non monitor type of tablet where you draw on the tablet but have to look up for your results on your display. I have never gotten a Cintiq because of price. However, thanks to a new Mac and iPad app called Astropad I can have a Cintiq-like experience on my iPad. 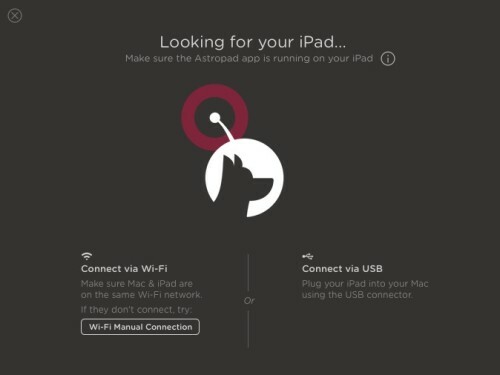 Astropad is an iPad app with a pairing Mac app that mirrors your display on your iPad. As a result, I can open Mischief on my iMac, a drawing app I recently reviewed here at MyMac, and see it on my iPad through Astropad and interact with it. I can draw in the Mac app through the iPad making my iPad my drawing tablet/monitor for my iMac. Yes, there have been other apps that mirror your Mac’s screen on your iPad, however, what sets Astropad apart is it is made for the artist and art apps. It does more than just mirror your screen and allow you to interact with it. What else can Astropad do? Well, for starters it allows you to use pressure sensitive styluses on your iPad and have the pressure sensitivity translate to the drawing app on your Mac! Draw softly on the iPad and you are drawing softly on the Mac. Draw hard and it shows up harder on your Mac. This is the biggest and best feature of Astropad. It allows you to get a true drawing experience on the iPad while actually drawing on your Mac. Want to use Corel Painter on your iPad? Well, with Astropad you can. Not only can you have the power of a Mac app through your iPad with Astropad, it works great! With my iPad Air 2 and a 2011 iMac, drawing from my iPad to Mischief was real time. I saw minimal to no latency drawing at a “normal” speed. I could interact with the tools, change them, and do everything possible on the iMac through Astropad. The first time I used the app I could not believe how well it works. Astropad consists of two parts. 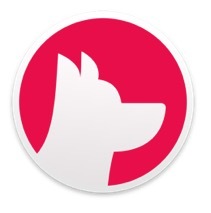 A Mac app downloadable from the Astropad website and the iPad app. When you have both installed you open both. The apps can connect wirelessly or via a USB connection. I used Wi-Fi and the connection was instant and worked great. Once connected you are ready to go. You open the art app on your computer and start drawing on your iPad. If you have a stylus you connect it to the iPad via the iPad app. The app itself is very artist friendly too. You can use pinch and zoom to work on a specific spot of an image. You can also target an area of your screen via the Mac and a selection box. There is a menu bar on the left hand side of the app. 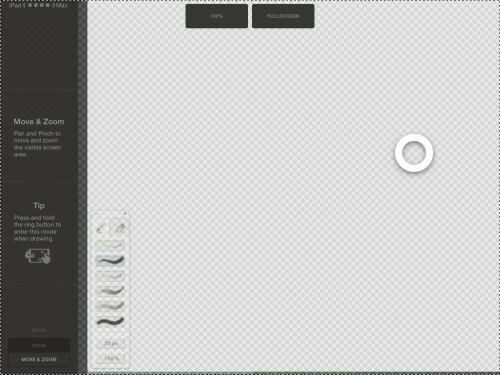 In this menu you can choose if you are drawing with your finger or a stylus. When drawing with your finger the menu in the box changes allowing you to make the brush larger or smaller, change from brush to eraser, and undo or redo what you have done in the app. The only issue I had with these, and with the entire app, were the undo/redo buttons. When using these buttons nothing happened on the screen. After contacting the company I was informed that these buttons are set to Photoshop specs by default, but the can be changed in the Mac app preferences. I changed those settings to command-z and shift-command-z and they worked fine. At the bottom of the menu is a command button. When pressed this button reveals a shift button, control button, option, and command. These allow you to perform clicks which require these buttons through the app. 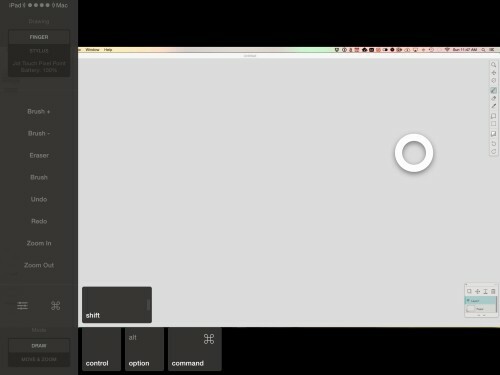 With the “Draw” and “Move & Zoom” buttons you can switch between actually drawing through the app or working your way around the canvas and your Mac’s screen. There are also some preference settings for brightness, preview thickness, and more. The app is best judged in action. There is a free demo available on the company’s website and a video demo that is true to life performance. I highly suggest checking out the demo and/or the video. The developers really put a lot of thought into making this app for the artists out there. They have also created an Astropad online community for users to share work or just get help with an issue. I can’t recommend it enough, especially if you are like me and have always wanted a Cintiq but could never fit in into the budget. For about $50 (less as of this writing or if your are a student to teacher) you can now have a similar experience with your Mac and iPad.